The Davida 92 has the smallest profile of Davida's road legal helmets. Please note the main image is to illustrate the colour way. The lining is slightly different in the current version of the 92 helmet. See the image of the matt black version to see how the lining actually appears on this model. All other aspects of the helmet are as pictured. The close-fitting nature of the 92 makes it quiet and helps prevent lift when riding at speed. The 92 is one of the slimmest, safest open face helmets on the market. 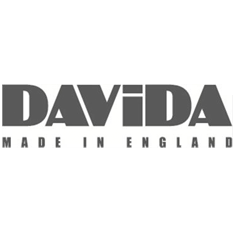 Davida have been designing helmets for 30 years and are unsurpassed in their pursuit of quality.